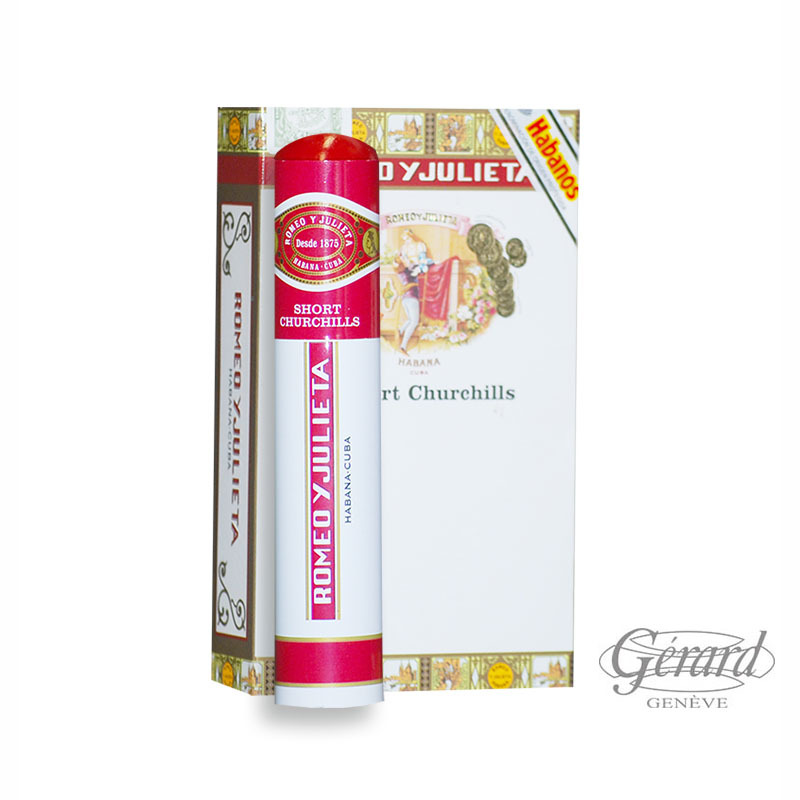 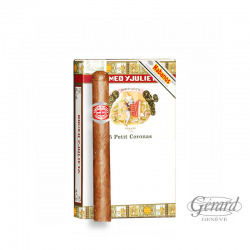 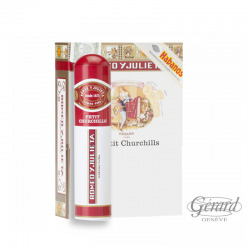 ROMEO Y JULIETA SHORT CHURCHILL SBN 25 ACT. 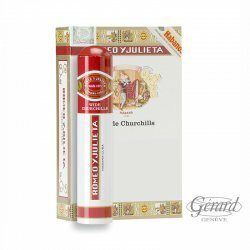 The fresh and vegetal aroma gives scents of discreet green teas; the lightly woody taste leaves the palate with dry and full flavors. 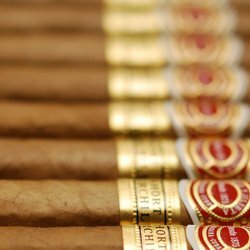 If the first notes allow to predict a linear cigar, the sooner the top third fades, the notes become richer and more creamy, without ever reaching the limits of the strongest and the most full-bodied robustos. 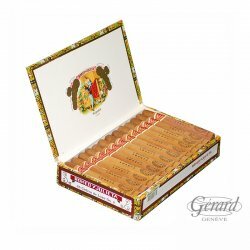 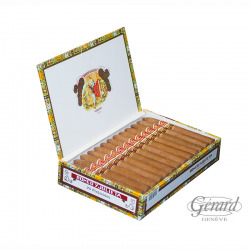 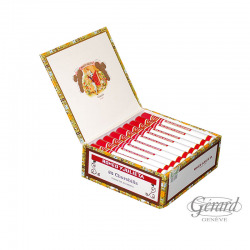 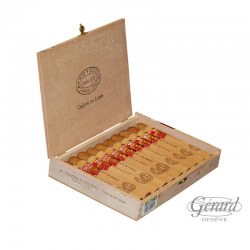 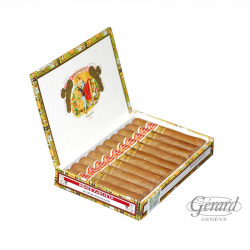 Excellent cigar for a daily after-lunch or dinner. 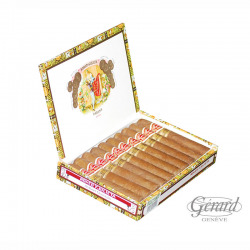 Attention, however, that its tight tripe may sometimes slow down the combustion.